On a very miserable and rainy day, (yesterday) Chloe asked Carole a question. 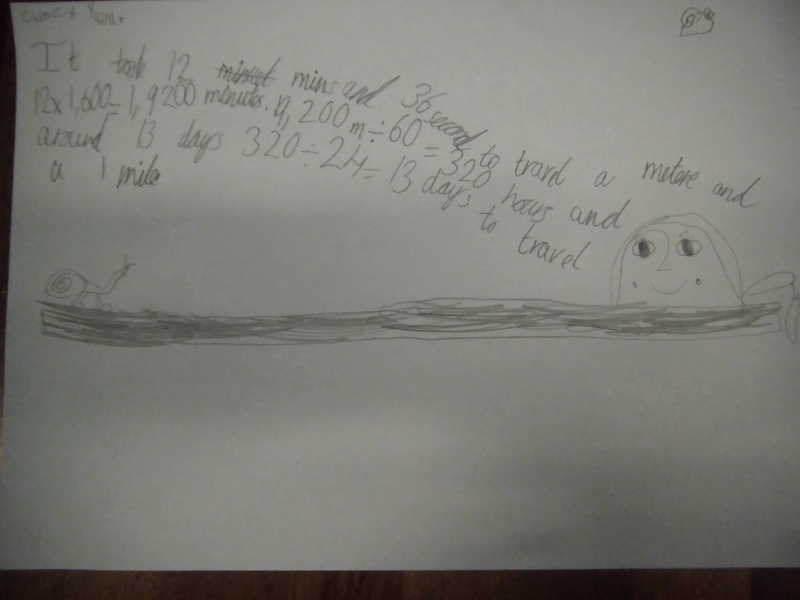 Her question was: How long would it take a slug to reach one mile? So early in the day, Carole took her and some other kids out to do some investigating. It was a very cold and a bit foggy, but they still went slug hunting! They explored the wild life garden and peered under rocks and logs, but they found no slugs, only thousands (I am only exaggerating for dramatic effect) of slimy snails under damp logs. They hurried to the fab lab with the snails and went to investigate inside because of the freezing weather. 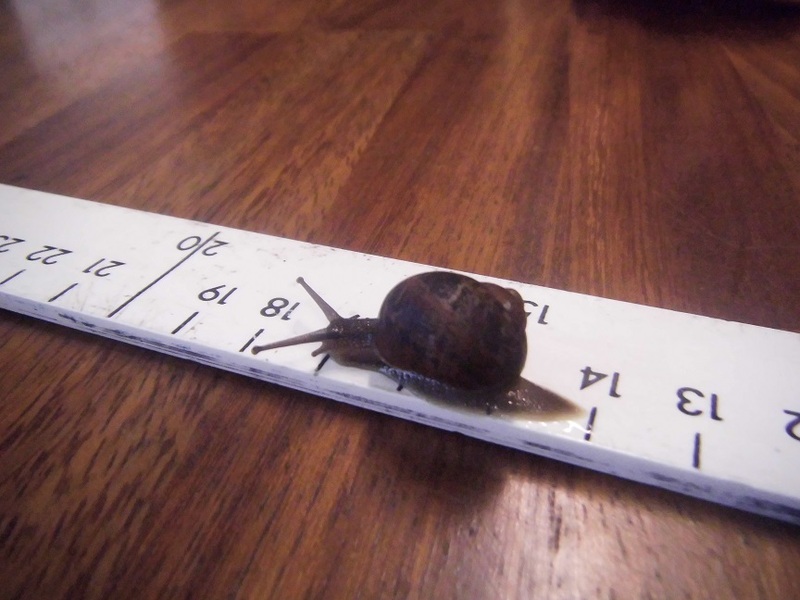 They timed the snail with a stopwatch until it reached the end of a metre stick. The snail travelling along the metre stick. This entry was posted in Lab13. Bookmark the permalink. 2 Responses to Being Scientific with Slugs! Fantastic! But how did you keep the snail moving in a straight line?